I never would have suspected that taking piano lessons could lead my granddaughter Rebecca into liking jazz. And, furthermore, I would never have suspected that it would happen in the backseat of our family car. Yesterday afternoon I picked Rebecca up to take her to her ballet. As soon as she got into the car she requested, "Papi will you play some jazz? I want to hear the Work Song." I would have to say that while it is impossible for me to be objective about her I can still say that's class! 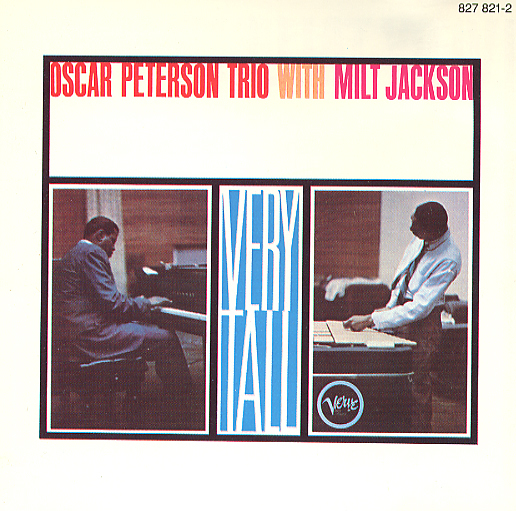 After all she was requesting the Nat Adderley tune as interpreted by the Oscar Peterson Trio With Milt Jackson - Very Tall (Verve Stereo 827 821-2). Every other Monday when I take Rebecca to her piano lessons with Nikolai Maloff I always play piano CDs in the car. 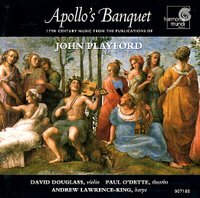 Just in case she thinks I may be overdoing it I throw in some baroque countertenors (Matthew White), music from Mozart operas and early baroque violinist David Douglass's, Apollo's Banquet - 17th Century Music From the Publications of John Playford ( Harmonia Mundi 93046 71862). 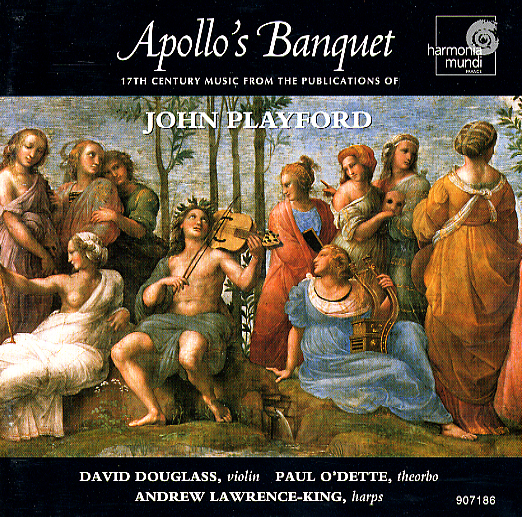 Douglass is accompanied by Paul O'Dette on theorbo and Andrew Lawrence-King on harps. Rebecca remembers him as the man who plays the violin by his belly button and has a fondness for blue silk shirts. I can assure you that her observations are correct as both of us saw Douglass perform at the UBC Recital Hall some years ago with his wife, soprano Ellen Hargis. 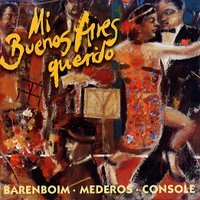 Last week Rebecca loved tango on the piano as interpreted by Emanuel Ax and Pablo Ziegler in Los Tangueros (Sony 7464-62728-2) and Daniel Barenboim, Rodolfo Maderos (bandoneón), Héctor Console, bass (Teldec 0630-13474-2) in Mi Buenos Aires Querido. But now that she is on the jazz kick I have to go at it slow and methodical. 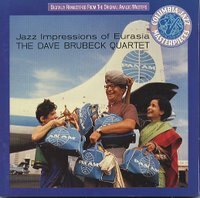 She likes (I never told her it was jazz) Jazz Impressions of Eurasia - The Dave Brubeck Quartet (Columbia 7464-48531-2) and the quartet's Gone With The Wind (Columbia 7464-40627-2). Rebecca is aware of my obsession with Gerry Mulligan playing his many versions of My Funny Valentine. I will introduce her to some of Mulligan's piano playing. 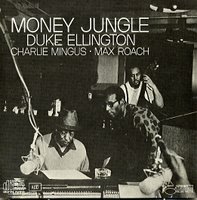 For a while I will concentrate on accessible pianists like André Previn And His Pals Shelly Manne & Red Mitchell - West Side Story (Contemporary S7572) and Ahmad Jamal Trio At The Pershing - But Not For Me (Argo LP628). 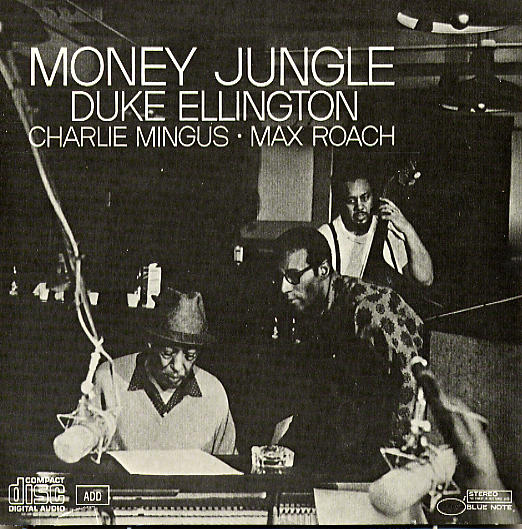 It will be a while before I have her listen to one of my jazz piano desert-island albums, Money Jungle - Duke Ellington, Charlie Mingus - Max Roach (Blue Note 7777-46398-2). 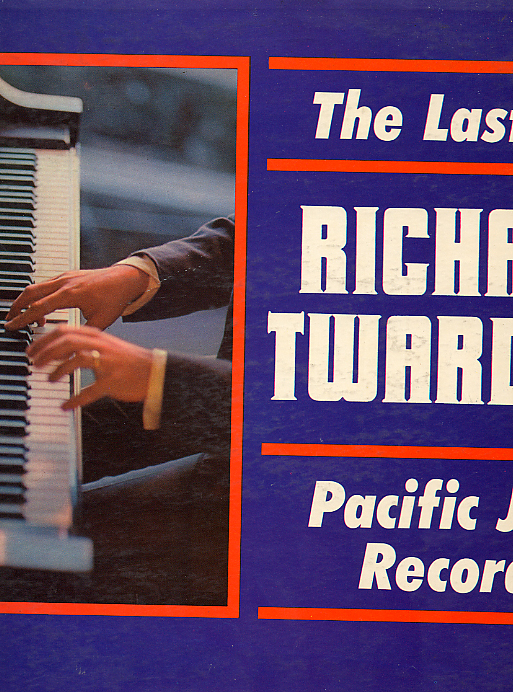 And then, only then, will we sit down in the living room to listen to pianist Richard Twardzik play Crutch for a Crab and Albuquerque Social Swim from The Last Set (Pacific Jazz -37). For a girl who can always spot my Hosta 'Pineapple Upside Down Cake' in my garden, Twardzik could be a breeze. Please note that the pictures you see here are scans of replacement CDs that I have for worn out record albums. The Twardzik one is a scan of the original record album which is larger than the scanner bed. I am having some difficulty explaining to Rebecca that Milt Jackson (vibes), Ray Brown (bass) and Ed Thigpen (drums) are African/Americans but that Oscar Peterson is Canadian. "But he is black," she protests.